Today’s chief learning officers need to have high emotional intelligence, which involves successfully managing risk and addressing problems. “The financial crisis raised some tough questions for leadership development,” notes David Dotlich, co-author of Leading in Times of Crisis: Navigating Through Complexity, Diversity and Uncertainty to Save Your Business. “Leadership development’s aim must be to mold leaders to think and act independently as opposed to just training to a company’s competency model.” Dotlich believes that conventional leadership training in classrooms that are based on case studies and best practices is insufficient. Effective program development must be overhauled and have an aim to create learning programs that are in line with a company’s strategy. Leading in Times of Crisis co-author Stephen Rhinesmith says to achieve this, a company should first identify its strategic requirements for a three- to five-year period. The next step is to build and relate training to a specific strategy in order to ensure people have the needed skills at various levels. Rhinesmith adds that there should be support from the HR department for all training programs. This helps link what staff learn and what they are rewarded for, he says. 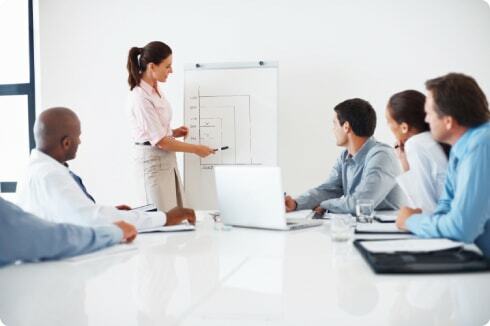 EDSI provides a dynamic learning program for leadership development, Leading with Credibility.